Every flower garden should include dahlias for color and excitement from July until the first fall frost. There is a dahlia bred for every taste, from simple to exotic. 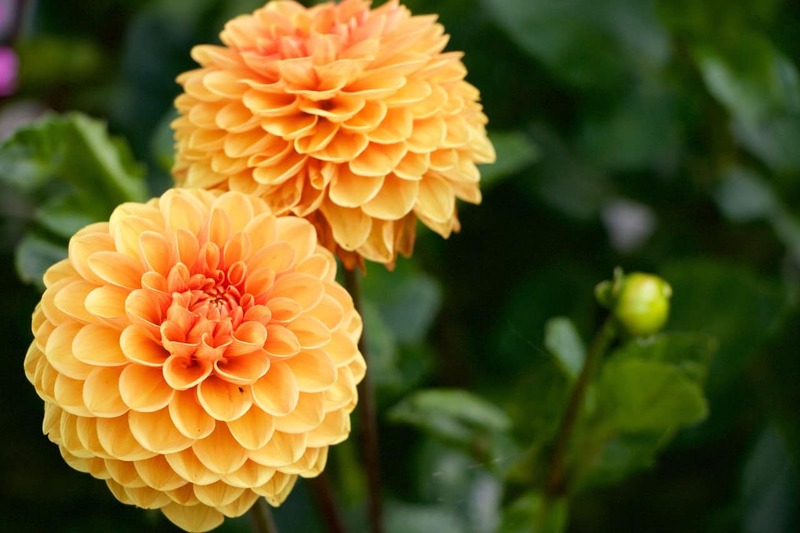 Here’s a quick refresher on how to grow dahlias. Dahlias (Dahlia pinnata) rule in the late summer flower garden and continue blooming until the first frost of fall. 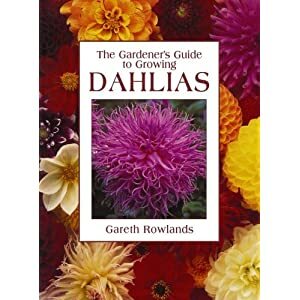 Gardener’s Guide to Growing Dahlias Dahlias are popular in the garden and in the vase for good reason: fancy good looks and excellent garden performance. They are very easy to grow if you understand and provide their basic needs. 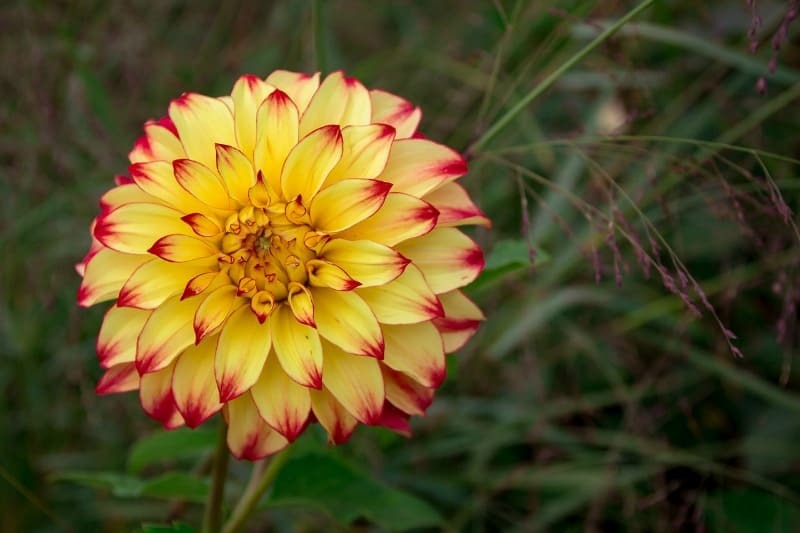 Dahlias have been bred and shown for so long, that there are seemingly countless special permutations for the collector. But don’t let that intimidate you. Dahlias are great garden flowers, too. 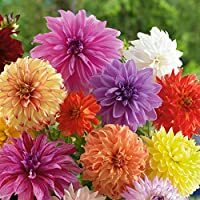 Dahlias begin blooming in mid to late summer just when the garden needs a punch of color, and continue through fall until frost. 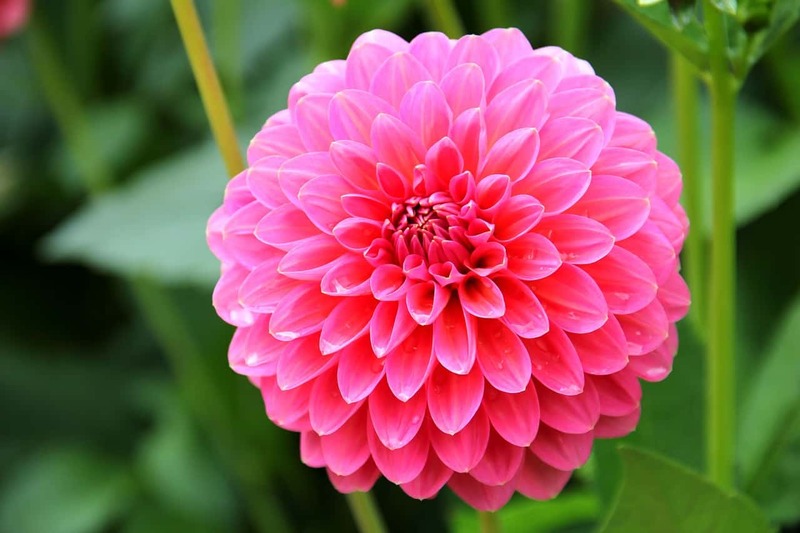 With good care, you can keep your dahlias from year to year and expand your collection over time if you wish. 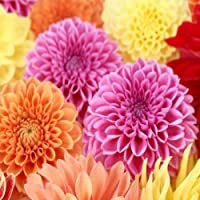 Dahlia flowers range from tiny pompoms to dinner plate wannabes, with petals running the gamut from a simple daisy look through doubles and cactus types, some with fimbriated or lacinated petals (split ends or feathered) and even the aptly named orchid flowering and waterlily types. 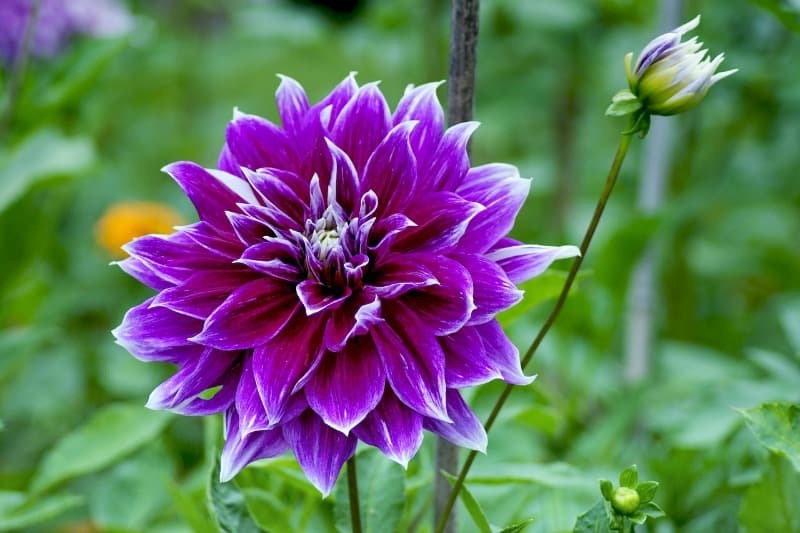 Dahlia colors include solids and bi-colors along with everything in between in every color – except, sadly, blue. Truly there is a dahlia for every taste! Early in the season, dahlias are not much to look at. There is some foliage, and probably a stake installed at planting time if your dahlia is a taller variety. But they are definitely worth the wait and deserve space in your garden. Even a tiny garden should include one or two dahlias. 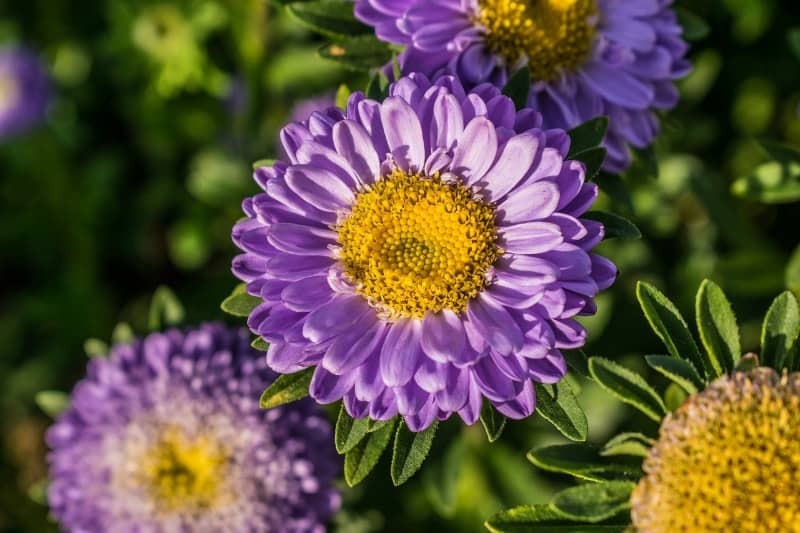 Flower size is not determined by mature plant size, so find a variety with the flower type you like and mature plant size you need. Heights run from about a foot to over six feet tall, but the plants use a relatively narrow footprint. 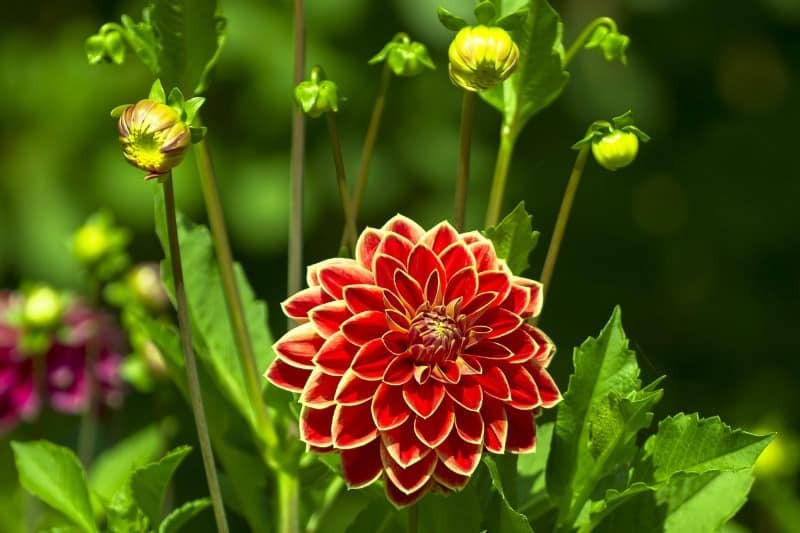 Dahlias require full sun and an evenly moist, rich soil. For best results, supplement rain as needed with generous, slow, deep watering. Planting dahlia tubers (or bulbs) should be done in late spring, about 8 weeks before dahlias are supposed to start blooming. Make sure you leave enough space between dahlia plants. Different dahlia types need different space, so make sure to check with the nursery you’re buying from. Mulching between plants helps keep the soil evenly moist. The mulch also helps keep down weeds and will add organic matter to the soil as it breaks down. 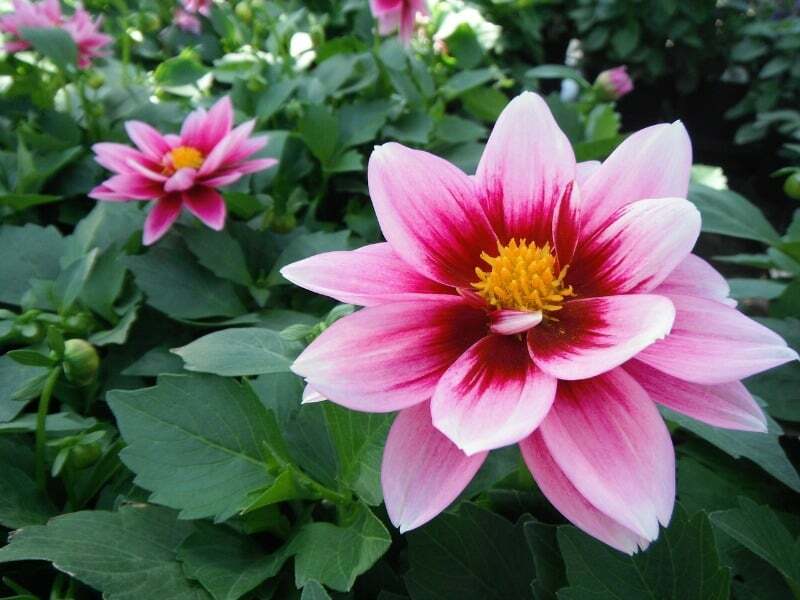 Dahlia tubers are quite expensive, but you can propagate them by taking cuttings. Here’s a video that explains how to do this properly. Dahlias are so pretty! 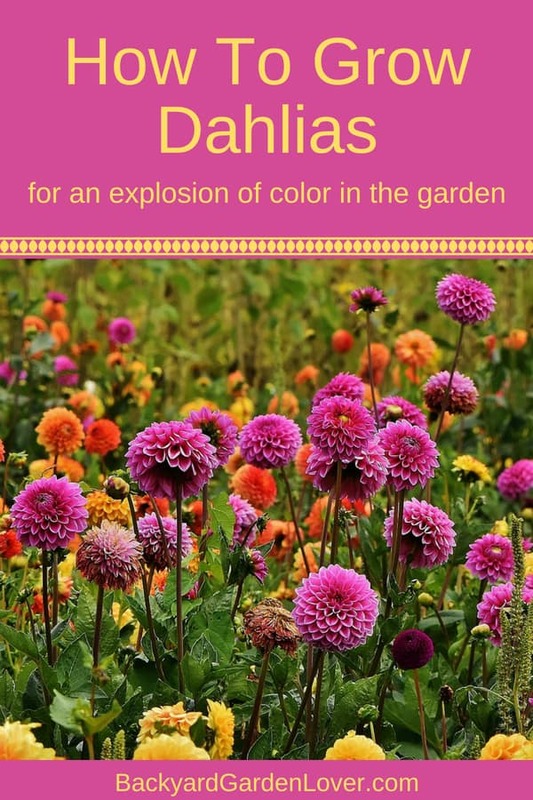 Here are just a few of the many types, sizes and colors of dahlia flowers. Beautiful purple dahlia with a hint of white around the edges. I love the contrast between the lavender petals and yellow in the middle: how pretty! While I always love to see color in my gardens, there’s something special about white flowers, and these white dahlias are stunning! 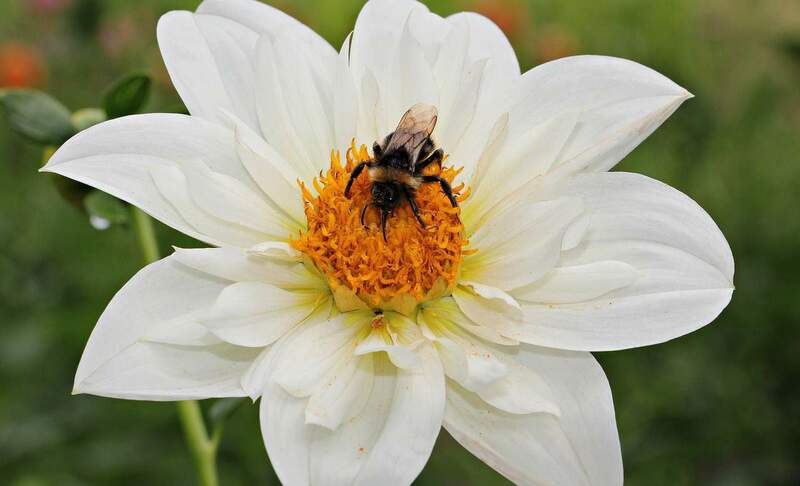 This simple, one layer dahlia is happily visited by a bee. 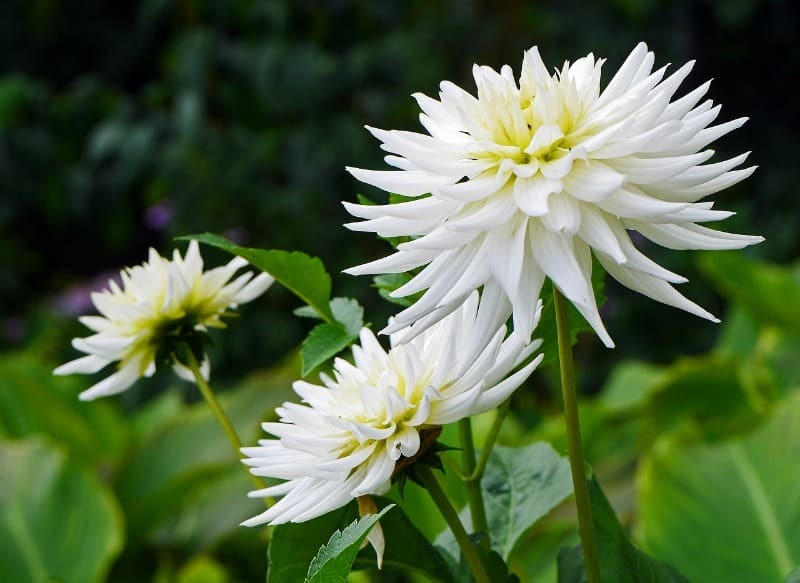 These white dahlias have pointed petals, making a beauty statement. 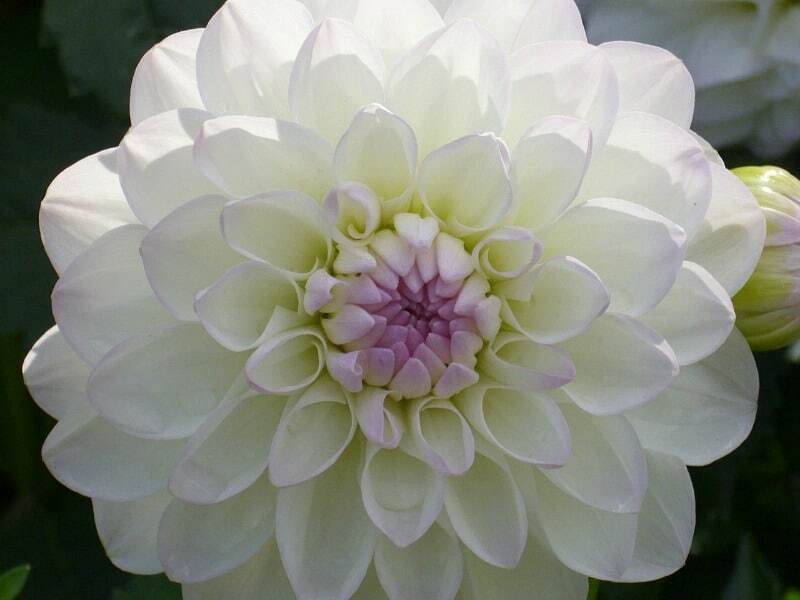 Absolutely stunning, this white dahlia looks like a work of art. There are so many shades of pink! Here are just a couple. Beautiful color, gorgeous shape, I want one of these in my garden (going to look for one to buy). 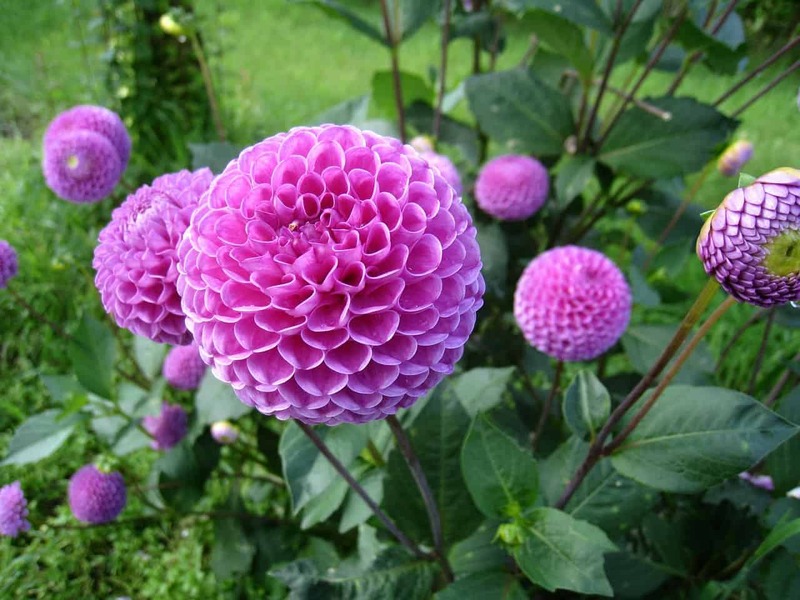 Cute globe shaped pink dahlias. these would make a great addition to a nice cut flowers bouquet. 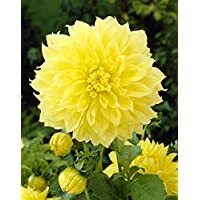 Bright and cheery, the yellow dahlias bring happiness to any garden. 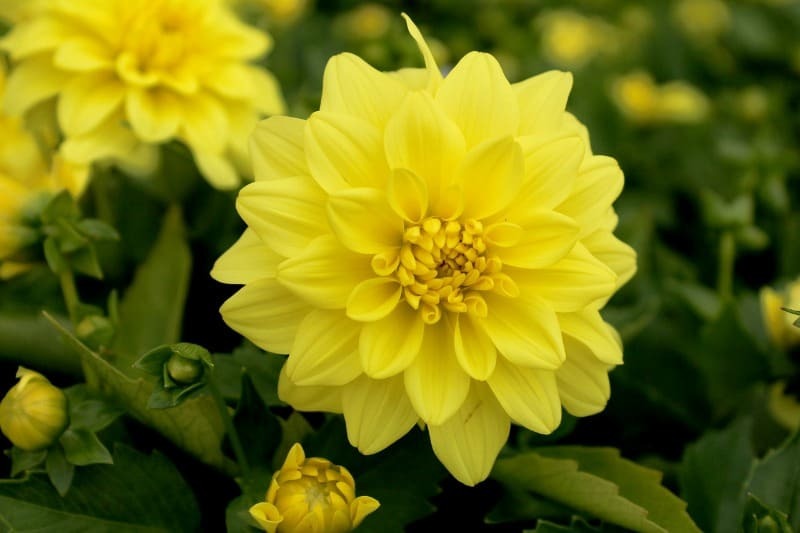 So perfectly symmetric, this yellow dahlia, just like all the others, is beautiful and to be desired for any garden. 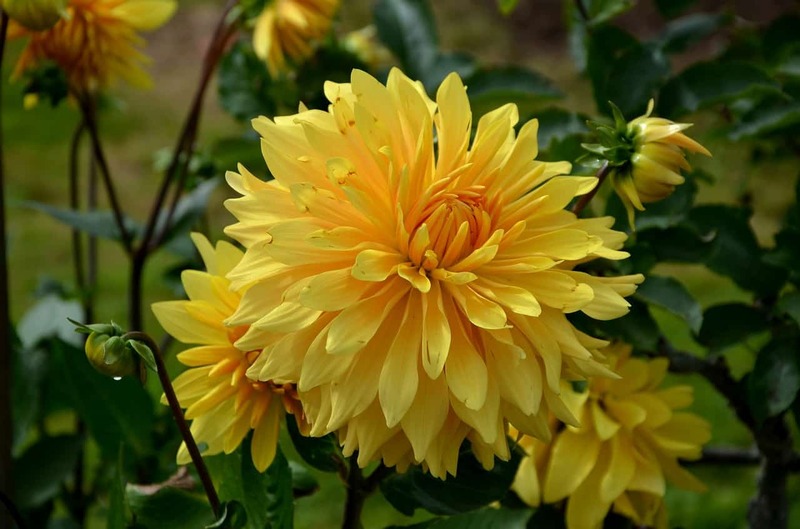 This yellow dahlia with hints of orange in the middle is gorgeous! 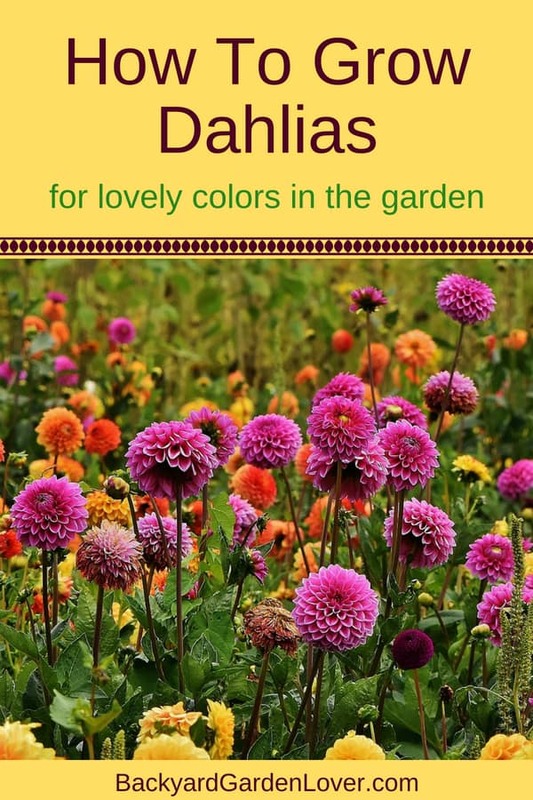 It’s amazing how many color combinations of dahlias there are. Here’s just a little sampling. 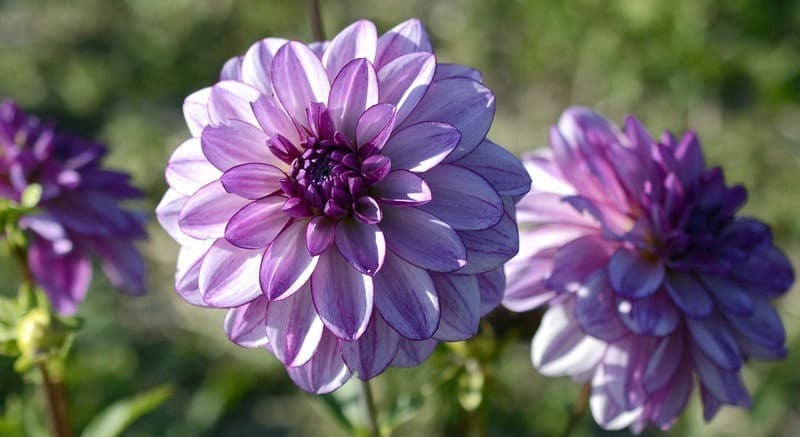 Delicate looking lavender colored dahlia with a hint of deep purple around the edges. Pink dahlias with a smudge of red in the middle. This red dahlia with yellow linking on the edges looks almost like a painting. Gorgeous yellow dahlia with red tips. The variety of color on these flowers is absolutely amazing! 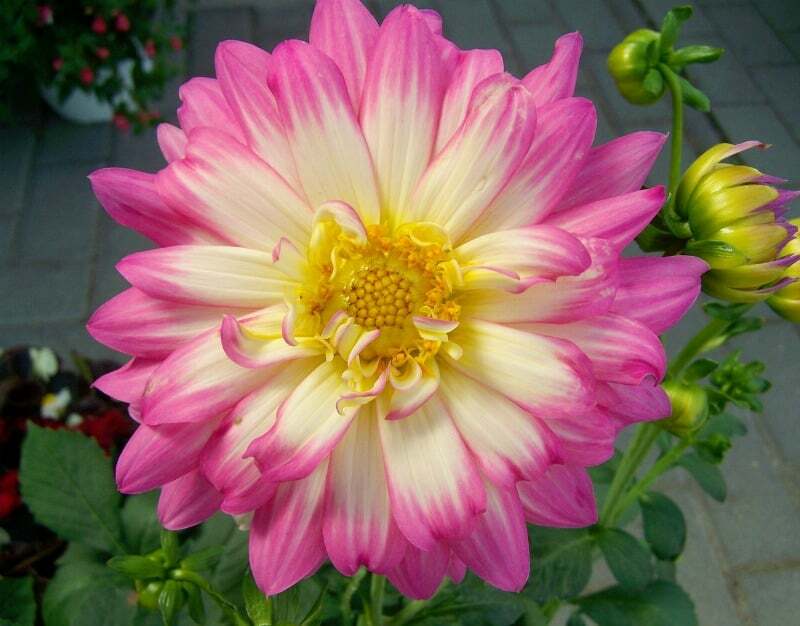 Beautiful pastel colored dahlia with pink, yellow and white notes. 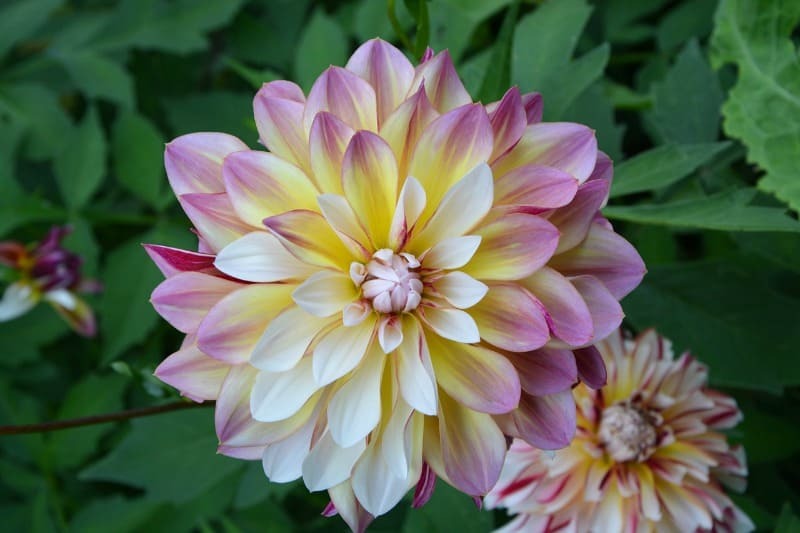 Soft colors of pale yellow and bright pink come together on this dahlia flower. 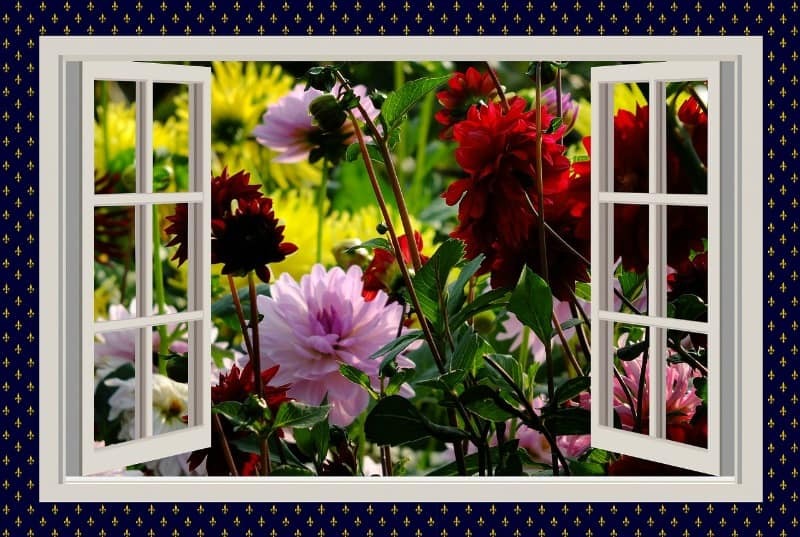 I hope I’ve inspired you to look for some dahlias for your own garden.